We’re excited to welcome the European Business Process Institute (EBPI), lab10 collective, Spark, and Swisscom Blockchain as Founding Stewards. These organizations join more than 50 Sovrin Stewards who span software experts, telecom and IT giants, NGOs, blockchain experts and financial institutions. Sovrin Stewards share a common belief in self-sovereign identity (SSI) as a public utility and work together to advance the Sovrin Network as the foundation for digital identity innovations. The organizations volunteer time and resources to operate the validator nodes that maintain the Sovrin Network. Stewards also vote on proposed changes to ledger-specific open source code for the Network, providing a counterbalance for major changes to Sovrin and Indy code base. Based in the Netherlands, EBPI is a fast-growing IT organization that provides blockchain, data science, message traffic and payment services to enterprises, municipalities, and the Dutch government. EBPI builds and implements solutions with the belief that identity holders should have control over their digital identity, sharing information when and how they need. EBPI considers Sovrin a “fundamental network” to building secure and controlled applications for self-sovereign identities. lab10 collective is a diverse cooperative that unites members spanning software development, hardware, UX, mobility, financial markets, manufacturing, and blockchain-based technology solutions, among other industries. lab10 projects utilize blockchain and decentralized technologies to help advance a “free, educated and fair society.” By joining Sovrin, lab10 affirms their belief that self-sovereign identity and zero-knowledge proofs are critical to identity holders’ privacy on the internet. 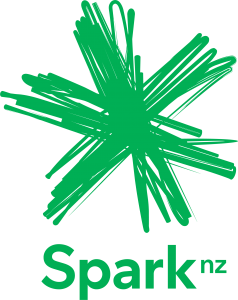 Spark is New Zealand’s largest communications and IT services provider. Like Sovrin, Spark is committed to helping internet users establish a more secure and trusted presence online via self-sovereign digital identities. The company is forming a new business entity that will focus on long-term, large-scale business opportunities from emerging technologies. Spark has also built a distributed ledger node that will be connected to the Sovrin Network. Swisscom Blockchain is the largest IT infrastructure host in Switzerland. The company also provides ICO advisory and decentralized services to help enterprises deploy blockchain technologies quickly and easily. Swisscom Blockchain recognizes the potential of SSI for a broad range of business use cases. Also a member of the Hyperledger Project, Swisscom Blockchain joins the Sovrin Foundation to expand upon their expertise while helping advance SSI. SSI is quickly becoming a global standard to solve internet identity problems. Stewards play a critical role ensuring the Sovrin Network is a well maintained, secure and foundational solution for digital identity management solutions. You can read more in the announcement. Participation in Sovrin is open to all. Organizations interested in becoming a Sovrin Steward can contact us here: https://sovrin.org/stewards/. For those eager to contribute technically, getting started with Sovrin is easy. Copyright © 2019 Sovrin Foundation. All Rights Reserved. The Sovrin Foundation is a 501 (c)(4) nonprofit organization established to administer the Governance Framework governing the Sovrin Network, a public service utility enabling self-sovereign identity on the internet. The Sovrin Foundation is an independent organization that is responsible for ensuring the Sovrin identity system is public and globally accessible.